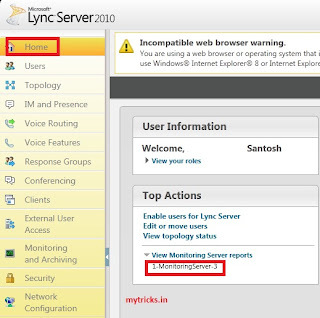 Here I am going to show you how to configure Lync Monitoring Server URL, as by default its not enabled in LyncControl Panel. 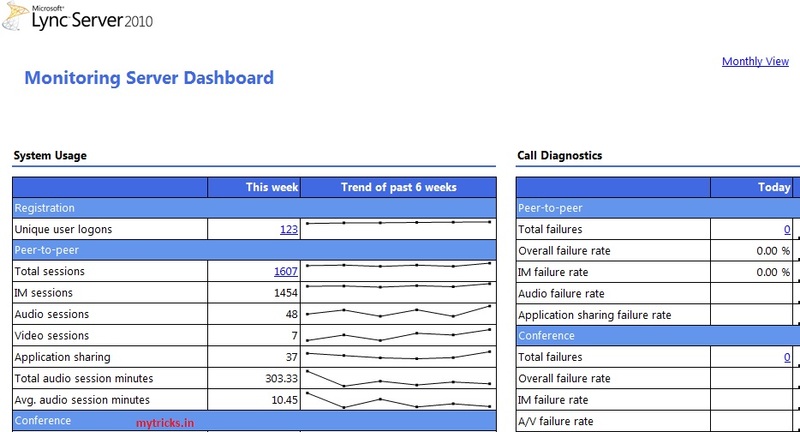 As shown in below screen. 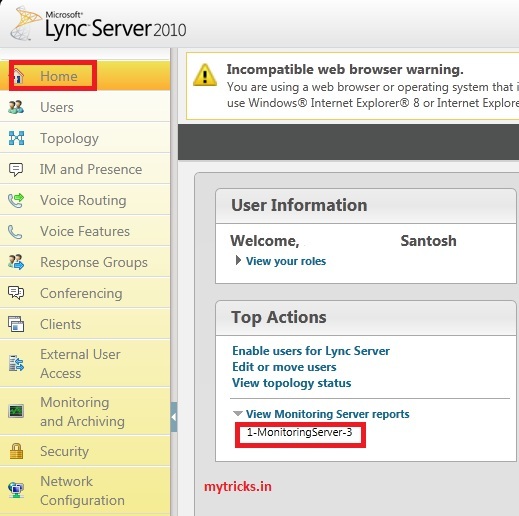 You need to enable it via Lync management shell. 2. 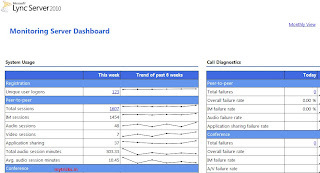 Now Open Lync Control Panel, Here we go now 1-MonitroingServer-3 tab is enabled inside Lync Control Panel & now you can access Lync reports from Lync Control Panel.